2016 was a challenging year for the Ghanaian Banking sector. Reports of microfinance institutions folding up were rife. “Owners” of these financial institutions were disappearing mysteriously. The hard-earned savings of many were in jeopardy. Something had to be done. “Over the past 5 years, there has been a proliferation of microfinance institutions. These companies come under the direct supervision of the Bank of Ghana. Unfortunately, lack of effective supervision has resulted in many cases in which microfinance companies licensed by the Bank of Ghana have breached the rules and created supposed pyramid schemes that have eventually come crashing down”. 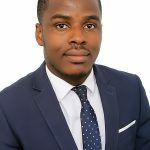 The Ghana Deposit Protection Act, 2016 (Act 931) was duly passed and gazetted on 11 October 2016. Contrary to what most people think, Act 931 was not meant to create a blanket deposit insurance scheme. The Act is clear. It is meant to protect small depositors from losses that the depositors may suffer as a result of the depositor’s financial institution going under (i.e. in the event where the bank’s license is revoked or a liquidator is appointed over the assets of the bank). Depositors with banks cannot recover more than GHS6,250 of whatever amount they had in their accounts. And in the case of specialized deposit-taking institutions, a depositor cannot recover more than GHS1,250. The coverage limits are expected to be revised every three years to take account of economic conditions prevailing in the country and data concerning the development of insured deposits. The Act requires all banks and specialized deposit-taking institutions licensed by the Bank of Ghana to be members of the Deposit Protection Scheme. The Scheme is expected to be managed by the Ghana Deposit Protection Corporation. The Corporation’s functions include borrowing money to finance the reimbursement of insured depositors, setting coverage limits for insured deposits, investing moneys of the fund in securities and paying off insured depositors. The Bank of Ghana and the Government of Ghana were required, as a transitional measure, to provide the initial capital of the corporation. Further, the Corporation is required to issue a certificate of membership to every bank or specialized deposit-taking institution. The Banks and Specialized Deposit Taking Institutions are in turn required to display this certificate at a conspicuous place at their main offices. As the name of the Act suggests, financial Institutions are required to insure, with the Deposit Protection Scheme, deposits that they hold. But there are exceptions. The law, for instance, does not allow the scheme to insure (a) an amount for which the depositor has not been identified; or (b) an account that has been frozen or about to be frozen in compliance with the law; or (c) an account belonging to a corporate person or members of a corporate person (if the corporate person or member of the corporate person has majority votes of 25 percent or more in the Bank). The law further prohibits the insuring of funds belonging to Banks or Specialized Deposit-Taking Institutions, pension funds, retirement funds, reinsurance companies, collective investment undertakings, local governments, central government and administrative authorities. Banks and Specialized Deposit Taking Institutions will be required to pay to the corporation, an initial one-off premium of 0.1 % of their required minimum paid up capital. In addition to the initial premium, Banks shall be required to pay an annual premium which is expected to range from 0.3% to 1.5% of the average deposits insured by the scheme at the end of the preceding year. The Corporation is permitted to take into consideration the risk level and profile of banks in the determination of the annual premium. A Bank or Specialized Deposit-Taking Institution that fails to pay a premium is liable to pay an administrative penalty of not more than five thousand penalty units. In the event where a bank or specialized deposit-taking institution delays in the payment of a premium, the deposit-taking institution shall pay interest on the accrued premium to the corporation at the rate assigned to a ninety-one-day treasury bill plus two per cent. In the event where a bank folds up or has its license withdrawn, the Corporation is expected to announce on its website and other media platforms the process for the payment of compensation for the insured deposits. An insured depositor has five years to make his claim. An insured depositor who does not make a claim within the five-year period forfeits his right to make the claim. PS: Regrettable, not much has been done in order to ensure that the deposit protection scheme becomes a reality. 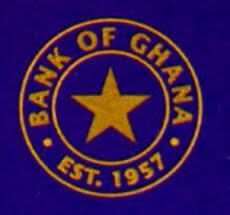 The Bank of Ghana has given a number of dates for the commencement of the deposit protection scheme. But none of them has actualized. It is understood that steps are being taken to amend Act 931. That is however not a good reason why Act 931 cannot be implemented. Considering the challenges that the banking sector has been through in recent times, the least the Bank of Ghana and the Government can do is to give depositors some comfort that their deposits are being insured.